The Oregon Health Authority (OHA), Public Health Division (PHD), Center for Health Statistics in Portland, OR is seeking a two managers to oversee the staff and operations for three program areas in the Center for Health Statistics. Oregon law requires all vital events that occur in Oregon, such as births, marriages, divorces, and deaths to be recorded, registered, and filed with our office. These positions will direct, manage, plan, organize and implement the programs responsible for registering vital records, completing the statistical analysis of vital statistics, and developing and maintaining Oregon’s electronic vital events registration system; coordinate key stakeholder and partner services, training and communication activities related vital records; inform policy and procedures that impact the Center for Health Statistics; and act at State Registrar as needed. You will manage staff, set performance goals and deadlines, delegate and oversee work, and monitor quality and timeliness. You will oversee and guide continuous process improvement through review of work processes and work products for effective use of staff and other resources. And you will develop and incorporate performance management systems to improve work processes and evaluate staff performance. You will coordinate training sessions, communications, and outreach to stakeholders and partners which includes hospital birth clerks, hospital administrators, funeral directors, county vital record registrars, medical examiners, physicians, medical certifiers, county clerks and government agencies to ensure proper registration, amendments and issuance of vital records throughout the state. You will oversee the development and maintenance of the state’s vital events registration system. You will ensure that statistical analysis per national and state quality standards. Do you have extensive experience managing a team of office and/or professional staff? Do you have a positive attitude to motivate and inspire your staff towards continuous improvement and job satisfaction? Do you have experience overseeing compliance for legal requirements of a program? Do you have experience in overseeing a complex information system? Do you have experience in statistics or data analysis? Then we need to hear from you! We offer full medical, vision and dental with paid sick leave, vacation, personal leave and ten paid holidays per year. We invite you to apply today! d) monitoring and controlling or preparing a budget. Positive, proactive management skills as well as demonstrated experience motivating staff and recognizing high performance. Proven people skills that include listening, communicating and relating to others on a personal and/or professional level, problem-solving talent, empathy for others and a willingness to work together toward the common good. High level of proficiency communicating information to people with different skill levels and expertise. Computer literacy to include Word, Outlook and database structures. Knowledge and experience with electronic data interchange. Working knowledge of computer programs to trouble shoot and correct problems. Experience interpreting and applying rules and laws. Experience in writing rules and laws. Experience in statistics or data analysis. Knowledge, skill and experience managing projects and timelines relating to information systems. Experience collaborating team activities and building upon team dynamics. Flexible with the ability to change assignments and projects at a moment’s notice. Must represent the Oregon Health Authority, Center for Health Statistics in a professional manner. Experience training staff, partners and stakeholders to use information system programs, or developing and implementing information system programs. 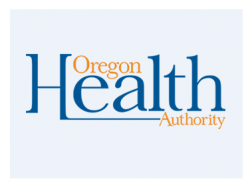 The Oregon Health Authority (OHA) is a state agency dedicated to helping people and communities achieve optimum physical, mental and social well-being through partnerships, prevention and access to quality, affordable health care. We are absolutely committed to ongoing innovation in the delivery of services, and to recruiting, developing and retaining dedicated employees. OHA includes most of the state's health care programs, including Public Health, Health Policy and Analytics, Health Systems Division, and Oregon State Hospital. Incorporating the state's health care programs within one agency gives the state greater purchasing and marketing power to begin tackling the issues of cost, quality, and access to care.